When I was a kid, we used to buy our meat from a butcher. As in a real, live butcher who worked in an actual butcher shop. This was not by any means a charcuterie and concepts like grass fed and free range weren't even imagined yet. What it was an honest-to-goodness butcher shop and I remember it smelling like a combination of blood and the heavy paper everything came wrapped in. I was fascinated by the place and what fascinated me most was the table-sized butcher block where just about everything was cut. It looked a lot like this one. Those days are gone of course --killed off by a combination of changing consumer tastes and proliferation of grocery stores. 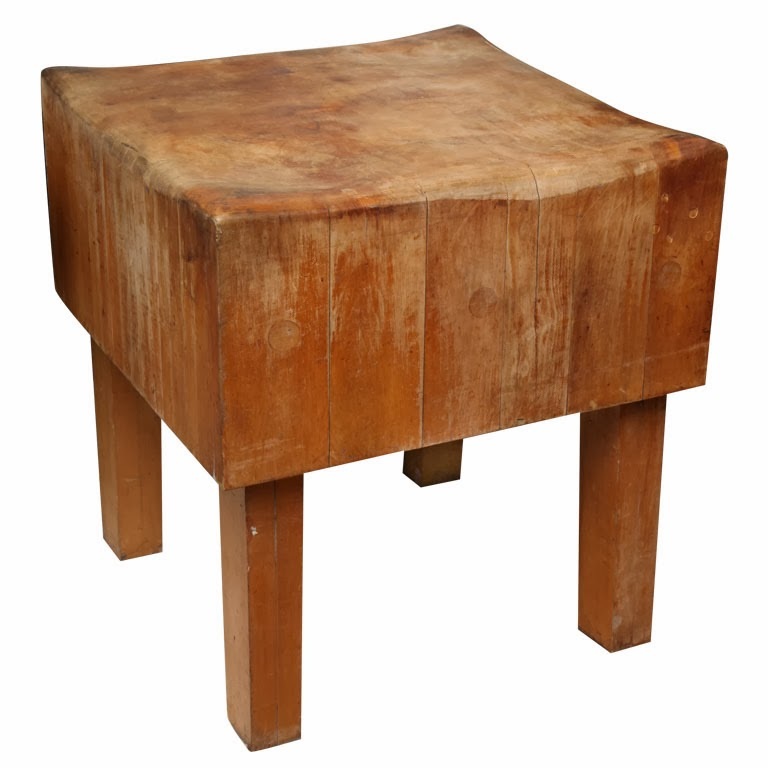 Though the traditional butcher shop may be well on its way to extinction, those butcher block tables are still made by the John Boos Company and here's one they call the AB. I took those images from the ButcherBlockCo.com's website. 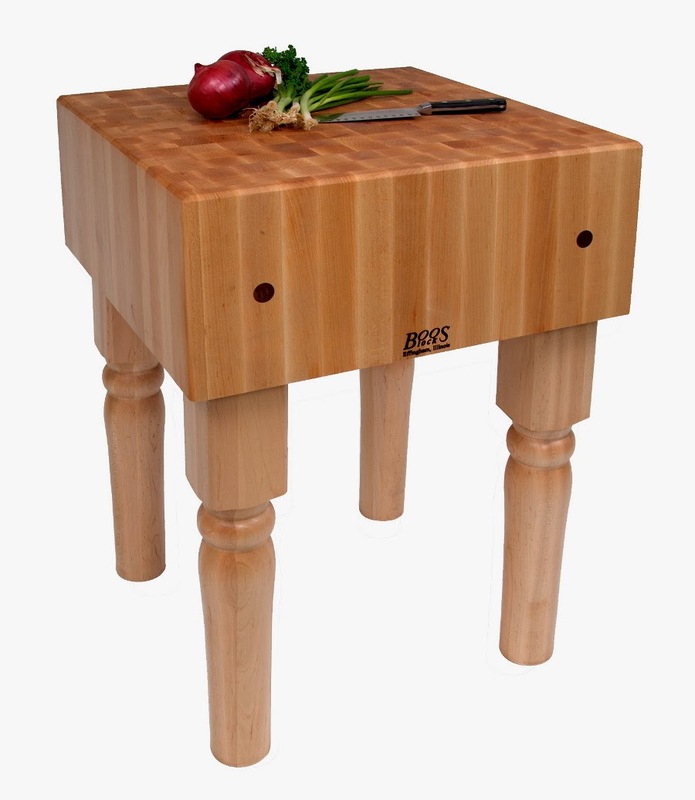 ButcherBlockCo.com is a small firm in Phoenix that specializes in butcher block tables and counters from the John Boos Company. John Boos has been making wood tops and counters since 1887 and they are the gold standard of what a butcher block surface ought to be. I've always known the reputation of John Boos but until recently, ButcherBlockCo.com was unknown to me. That changed with the arrival of this. That is a scale replica of a John Boos AA and in my photo it's being used as intended. Namely, as a cheeseboard. 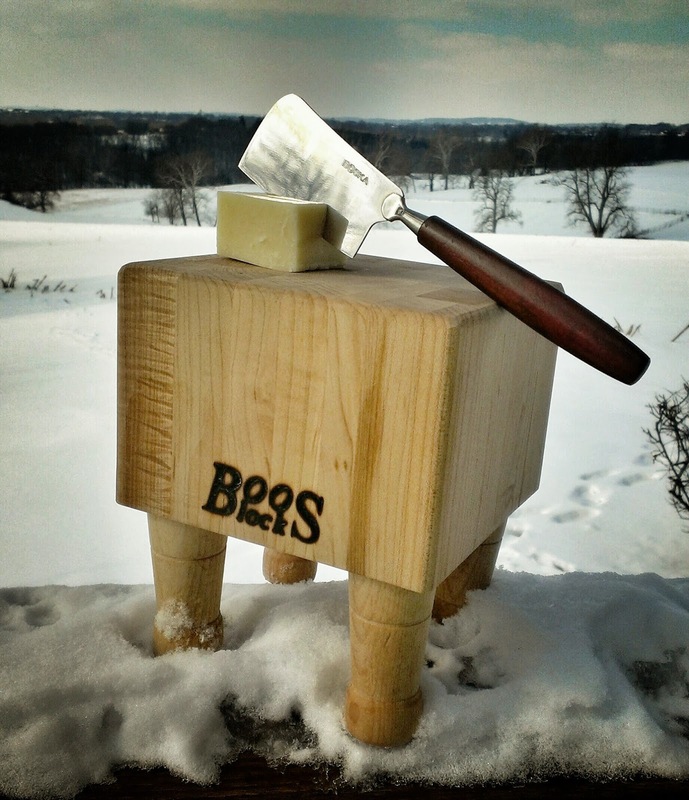 My Mini Boos Butcher Block came with a rosewood handled cheese hatchet by Boska. Needless to say, I love this thing. It works as advertised, people can't look at it and not comment and it reminds me of that butcher shop a long time ago. That's what we call a win. But ButcherBlockCo.com is more than just a purveyor of novelty cheese boards. They sell, direct to consumers, the full range of John Boos products and they do something else I've never seen offered on a website before. 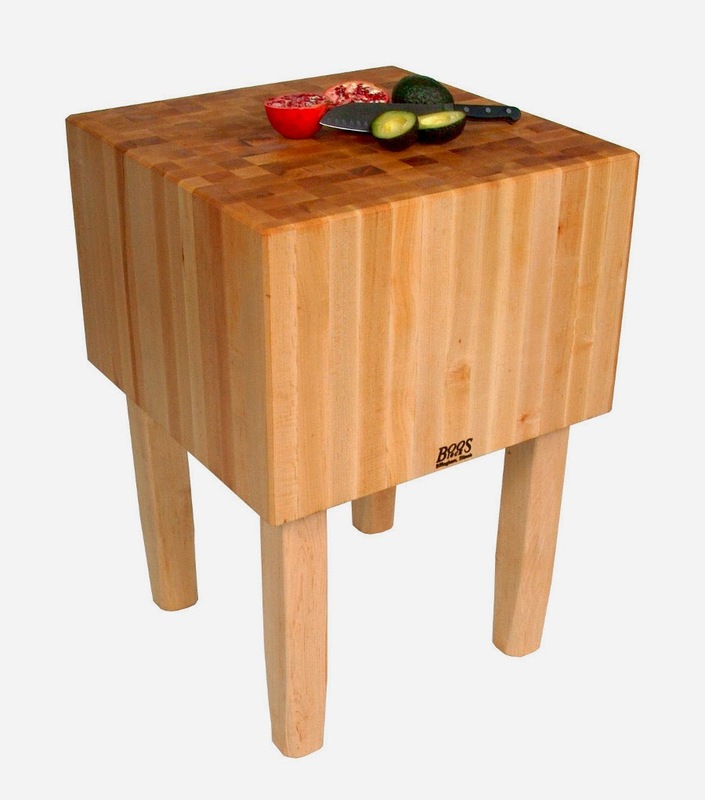 You can price and order your own John Boos butcher block counters. Seriously, there's a calculator built into the website. 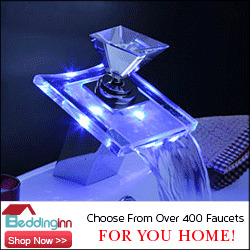 Not only that, they offer free shipping on any order over $75. So if you're in the market for butcher block counters, tables, islands, cutting boards, kitchen carts, work tables or anything else the John Boos Company makes, look no further. ButcherBlockCo.com has you covered. 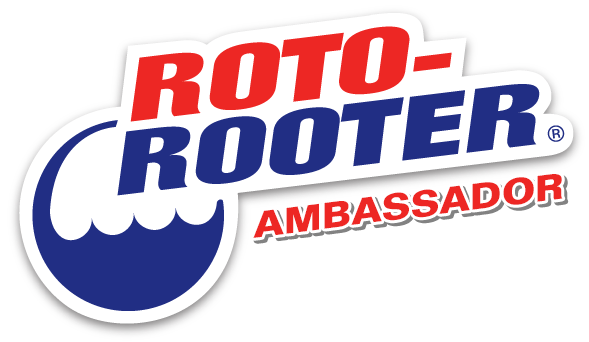 Check out their website, find them on Facebook and follow them on Twitter too.